Cryptocurrency traders looking for a way to maximize their investments in the growing marketplace use leveraged trading. Bitseven Global Trading Ltd. offers a platform for those users at Bitseven.com. Leveraged trading provides users the opportunity to increase capital and to have a high profit from a small investment. By leveraging trading through Bitseven, users can react quickly to price fluctuations and take advantage of short-term volatility. They can also hedge their investments and take advantage of ups and downs in cryptocurrency prices. The strategy of leveraged trading is perfect for traders who want to optimize their profit from holding positions for a short period. Bitseven allows leverage ranging from 1x to 200x the amount of coin based on the how the item appears on the Bitseven index. 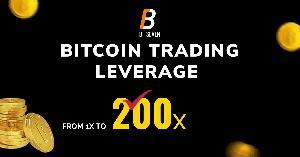 Traders can get maximum of 200x leverage on Bitcoin, Ethereum, Litecoin, and Bitcoin Cash trading. Users who believe the price will increase buy ‘up’ orders and those who believe the price will decrease buy ‘down’ orders. Users are amazed by Bitseven’s lightning-fast execution because it guarantees them swift and effective transactions. The Bitseven exchange is web-based, which means there is no need to install any software. The site’s core matching engine uses best-in-class technologies and has been recognized for its fault tolerance, uptime, and high availability thanks to its innovative features, including real-time clearing and advanced order matching algorithms. Users of the exchange can trade quickly and securely across all operating systems and devices anywhere across the globe and at any time of day or night. Users can easily access the systems and trade using mobile phones and tablets. To ensure users can trade securely, Bitseven protects against intrusion or hacking by keeping all funds in cold storage. Bitseven strives to meet customer expectations by ensuring, to the extent possible, the level of product and service performance and by rapidly addressing customer requests, concerns, and complaints. They recognize that the exchange’s success depends on its customer success, so Bitseven works continually to improve customer trading terms. To learn more about the Bitseven exchange, or to create your account, visit bitseven.com. 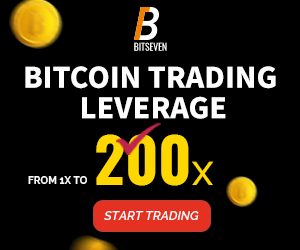 Bitseven is a crypto-products trading platform operated by Bitseven Global trading Ltd. Bitseven is the most advanced cryptocurrency leverage trading, exchanging, and purchasing platform on the market for Bitcoin, Ethereum, Litecoin, and Bitcoin Cash trading. The platform was developed through a collaboration of software developers, financial professionals, and experienced traders. Bitseven offers the most effective investment solutions to help customers conserve and grow their capital. Learn more at Bitseven.com.